We would like to invite you to visit the world´s leading maritime trade fair SMM. The fair will be held from 4 to 7 September, 2018 in Hamburg. We look forward to your visit at our booth in Hall A2 Stand 137. 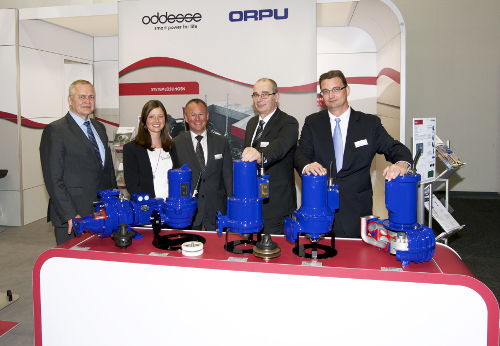 Pumps and motors of oddesse are more and more used in the offshore and shipyard industry. For example the ORPU-sewage pumps are used on board and on offshore platforms for the treatment of sewage water. The propeller pump, the drainage pumps and the submersible motor pumps from oddesse in particular are highly qualified for different systems for the delivery of sea and brackish water. Reason enough to present ourselves at the world´s leading trade fair for the maritime industry. With over 2,200 exhibitors and 50,000 visitors SMM continues to cement its position as the most important event in the maritime industry calendar. SMM is a true reflection of industry trends and is a unique opportunity to share ideas and meet with representatives of industry, government, navies and the scientific community. Take the opportunity for a personal conversation at the fair and get informed about our latest developments. 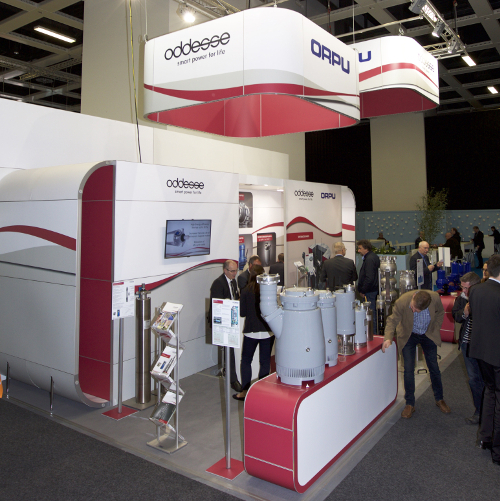 In addition to the traditional participation at IFAT 2018, which takes place from 14 to 18 May in Munich, oddesse will present itself together with ORPU Pumpenfabrik GmbH at the maritime trade fair SMM in Hamburg. Furthermore we will be represented at some regional events. Visit us for example at Thueringer water symposium in Erfurt and at drinking water conference in Mannheim or Magdeburg. Solids in waste water – No problem for ORCUT TES! Toilets are often used as waste bins. In addition to food waste and toiletries, wet wipes are more and more disposed. But these wet wipes cause clogging of the cutting system and ultimately lead to the failure of the pump. – Yet, that is no problem for the ORCUT TES. 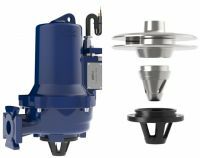 Unlike other waste water pumps ORCUT TES has a conical triple cutting system, which really gives a scissor-like cut of these solids without any problems. 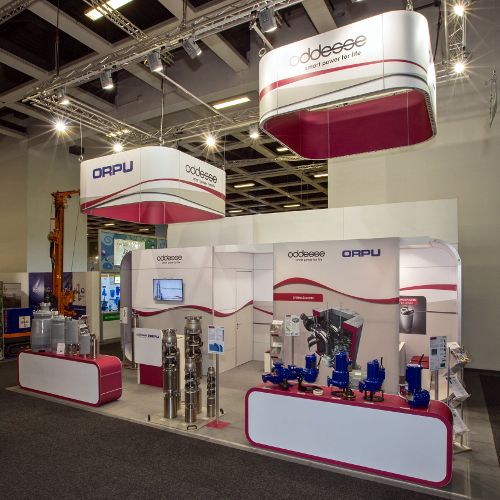 At the end of March, Berlin was once again the scene of the international water industry. 450 exhibitors from over 26 countries presented their products and technologies for water supply and water disposal. At our booth you were able to see our new submersible motor pump systems with permanent magnet-synchronous-submersible motor. Furthermore the proven submersible motor pumps, asynchronous motors, drainage, propeller as well as sewage pumps encountered the interest of our visitors. From the end of May to the beginning of June the city of Munich was once again the scene of the Water, Sewage, Waste and Raw Materials industry. The World´s Leading Trade Fair for environmental technologies was marked by the high level of international participation. At our booth you were able to see our recent developments and capabilities. Beside the proven submersible motor pumps and submersible motors, sewage and drainage pumps the recent developments regarding our submersible motor pump systems with permanent magnet-synchronous- submersible motor encountered the interest of the national and international trade visitors. A total of 3,097 exhibitors - 1,695 companies from Germany and 1,402 companies from other 59 countries, presented their innovations and new developments for the environmental technology sector on 230,000 square meters of exhibition space. With 45 percent, the proportion of exhibitors from outside Germany was higher than ever before at IFAT. Pumps and motors of ORPU and oddesse are more and more used in the offshore and shipyard industry. Our customers value the reliability of the products regarding power and longevity. The ORPU-sewage pumps ES, KM as well as side channel and submersible motor compressors are used on board and on offshore platforms for the treatment of waste water. The propeller pumps po-upl, the drainage pumps po-Söffel and the submersible motor pumps po-so/ss in particular are highly qualified for different systems for the delivery of sea and brackish water. All products are certified in accordance with DNV GL - Maritime or ABS, two of the biggest and international accepted ship and offshore classification societies.